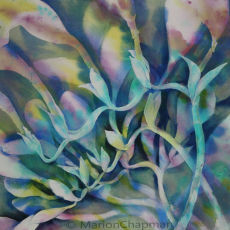 Marion will supply fuchsia flowers, buds and leaves as inspiration for this one day workshop in watercolour painting. Bring along your watercolour brushes, watercolour paints and watercolour paper. The best results will be obtained from quality materials. If you need any materials supplied, please let Marion know. A suggestion of paper size is 3 x A3 sheets (or 3 x half sheets) and boards to match the size of your paper and we'll discuss your needs on the day. Full payment required on booking. Please contact Marion for details mazchap@optusnet.com.au or 0411 665 443.